Parts of Indiana Jones and the Last Crusade was filmed at Petra. 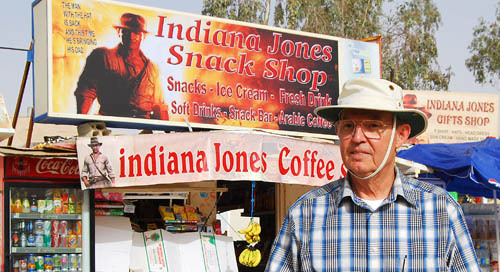 In this photo we see the snack shop, coffee shop, and gifts shop, all named for Indiana Jones. one of the most gifted and vigorous peoples in the Near East of Jesus’ time. (Biblical Archaeology, 229). 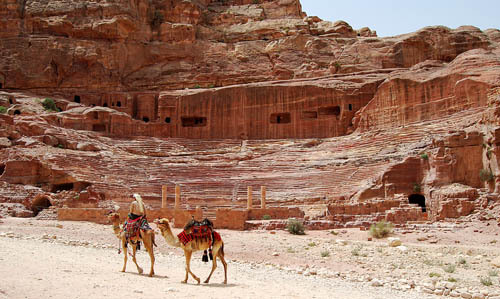 This photo shows the Roman theater at Petra which was cut out of the rock in the 2nd or 3rd century A.D. The theater seated about 3,000. “It is rather adventurous in a way, because for the most part, you’re going to some exotic country and delving into their past. But it’s not an adventure with a whip and chasing bad guys and looking for treasure,” said Bryant Wood, an archaeologist with Associates for Biblical Research.